Pale Ale. You can’t get any more to the point than naming your beer exactly what it is. For Gold Coast brewing operation Black Hops, deciding to launch a straight up Pale Ale and calling it exactly that, ended up being a no brainer. Although as is often the case when things appear outwardly simple, a lot of thought and variables went into the final decision. The Black Hops brainstrust, Gold Coast beer aficionados Dan Norris, Eddie Oldfield and Michael ‘Govs’ McGovern have a proven track record when it comes to creatively brewing and naming their beers, but this time around keeping things simple was the key focus when it came to putting out their newest beer. As to where you can find it, the first, limited run of Black Hops Pale Ale is available at their brewery Taproom in Burleigh as well as selected venues and bottle shops in the South East Queensland and Northern NSW areas. The boys also did a public pre-sale of 40 cartons online, which sold out in 2 hours. 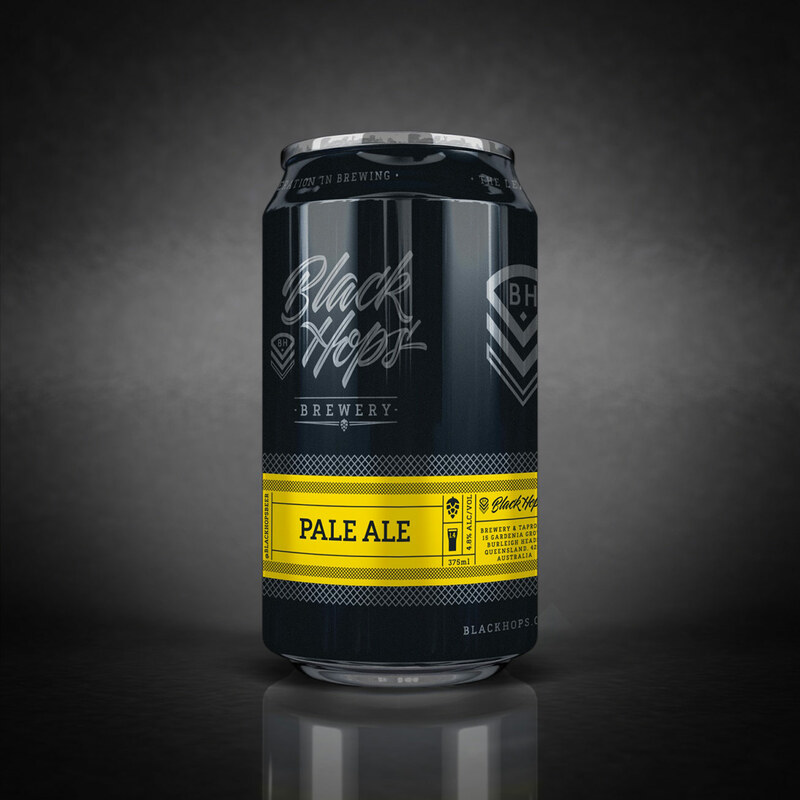 In another first for Black Hops, Pale Ale will be their first beer to come in cans. The cans will come in a neat 12-pack carton, keeping the price well under $50. The beer will be out in early April. Black Hops Brewing is 3 mates making craft beer and sharing everything they learn along the way. After discussing a concept over beer at the pub, Dan, Eddie and Govs set off to make their first beer, the Eggnog Stout. Once the pilot brew batch was out, their attention quickly turned to doing a proper commercial brew. Within a few months they had their Eggnog Stout out in bars and got to work on building their own brewery. In 2015, they brewed the world’s first official Call of Duty beer, a Midnight Pale Ale. In 2016, they successfully raised $17,000 via a crowdfunding campaign to become the first Aussie brewery to launch via crowdfunding. They opened the doors to their own brewery and taproom in Burleigh Heads in June 2016. The boys have been very active in sharing the Black Hops story via blogs, podcasts and on social media, so be sure to look them up! Black Hops photos including images of the can and poster and founders. For media enquiries please contact Eddie Oldfield on beer@blackhops.com.au or 0418 772 796.